There was a good bit changed, though it was mostly the way in which things happened, not necessarily the things themselves. Most of the sims we read about Tris going through are there, but their purpose is different and there are a few added ones. The big message released at the end still happens, but the way it’s released is different and Tris is much more involved in it. 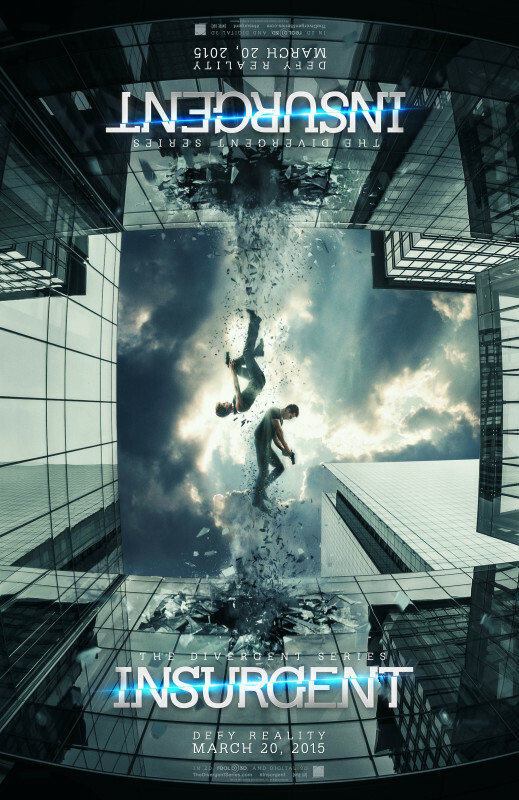 The message is locked up and only a Divergent can unlock it, so the reason Jeanine wants and needs Tris is also different. A lot of little details were changed, but the big picture items still happened. Though, I did notice Tris had never been shot and was not dealing with any sort of injury. The actors were just as great in this movie as they were in the first. We also get to meet Evelyn, who becomes a major character. Uriah finally gets some speaking lines and there’s a short scene with just him and Tris. The relationship between Christina and Tris isn’t quite as strained as in the book. They likely just didn’t have time to go into the nuances of all that happened between them, so the recovery feels faster. Tris’s recovery over shooting Will is much faster, as well. I also remember an awful lot of secret-keeping between Tris and Four in the book, and it was lessened in the movie, again, likely for time. A lot of other characters, like Marcus and Johanna are lessened as well. The little changes made enhance the plot rather than detract from it. Well, most of them. If you remember who is killed at the end of the book, the person who does the killing and the way it happens is different, which may detract from the story of the original shooter in the book. With the whole “locked up” message thing, the reason that the Abnegations were attacked in Divergent changes a bit. When Four and Tris find the Factionless, their encounter with them goes down differently and we don’t see Edward reappear. Though the ending is quite a bit different in the way they got there, the end result is the same, for the most part. Because of the increased action and the vivid visuals of the sims, it made this movie highly entertaining. I saw it in 3D, which made all the flying debris and sim bits very cool to watch. I really enjoyed it. 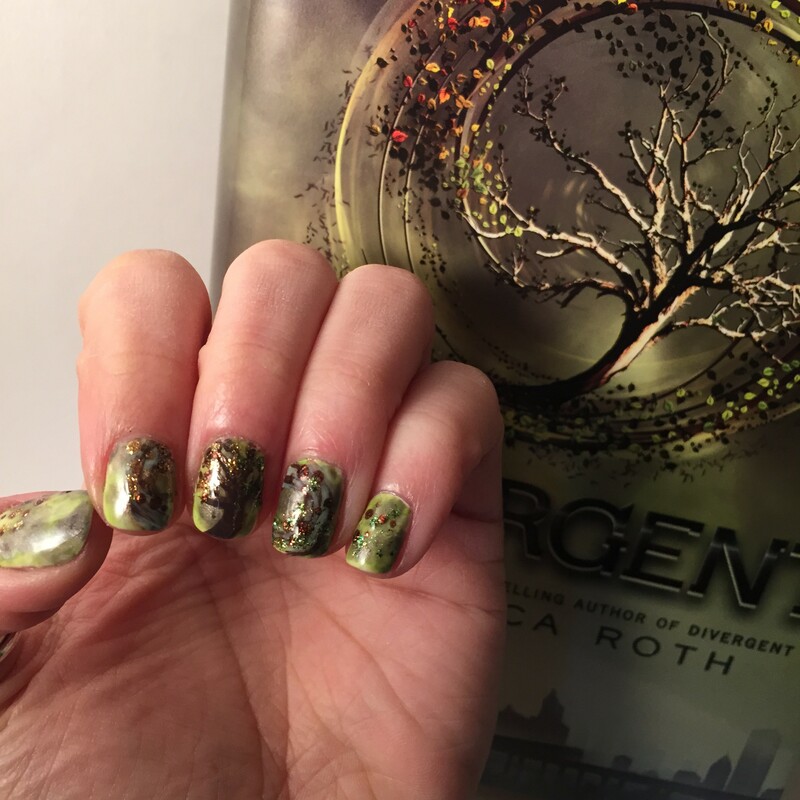 The nail art I wore to the movie. Video tutorial coming soon!